Welcome back to Squad Talk, the Official Fit Company newsletter! We’ve got another great interview to share with you today. It’s with Leslie Tate and Joell Beagle at Alliance Abroad. 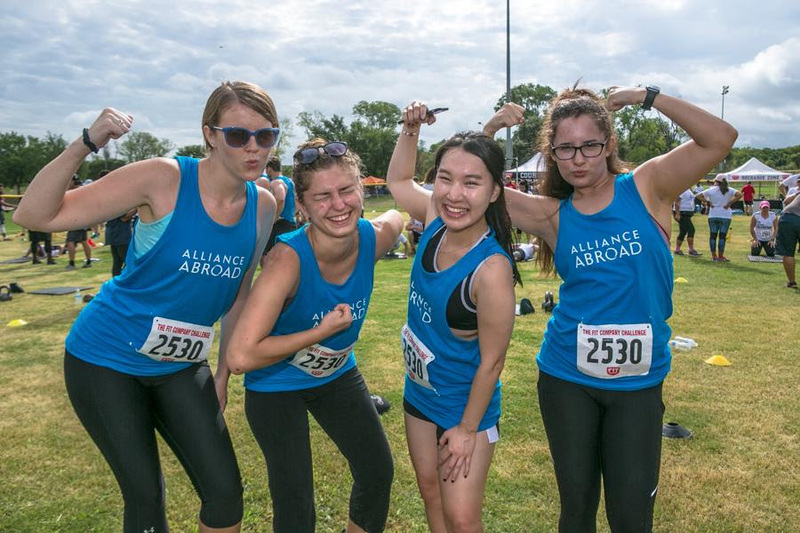 Alliance Abroad is a mid-sized company that’s been coming out to the Fit Company Challenge for several years and Leslie and Joell are associates who have lead the way in bringing out awesome teams every year. 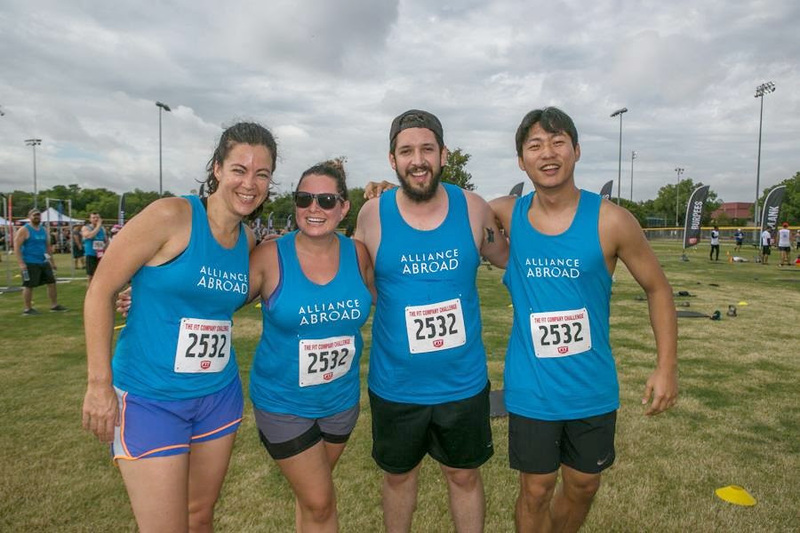 How many times has Alliance Abroad participated in the Challenge? Leslie: We’ve participated in three Challenges so far. Each time, our participation has grown. At first, when it was new, only a few people got involved, but once people started going – and even if it was just to watch and cheer – our employees took notice. 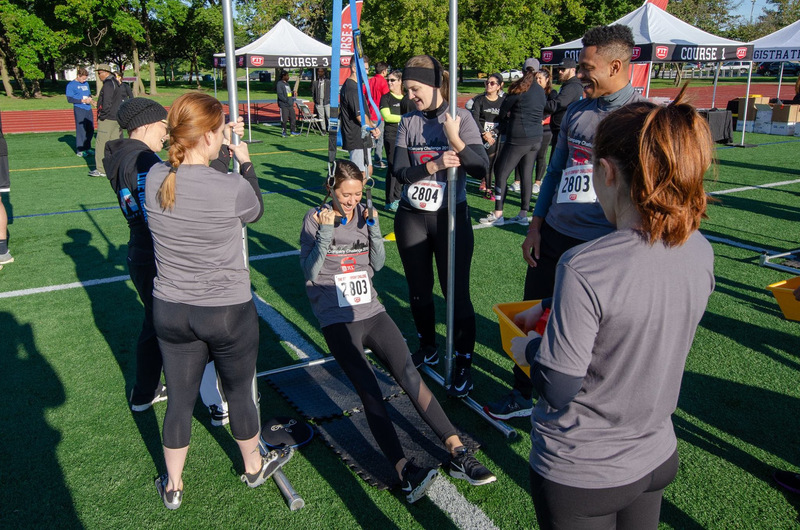 They got to see how simple and accessible it was, and then the numbers, along with the desire to work out both before and after the event, really went up. What kind of participation do you usually get for the events? Is it mostly new people or the same ones returning? Leslie: We see a definite a mix of past and new participants as our company grows more people join in. Joell: We work as a visa sponsor here in the USA for bringing people over for a cultural exchange program. At the last challenge, we had several trainees in the office, we got three of our Korean and Brazilian exchange participants to join the event! It just goes to show that going in and being active together kinda crosses a lot of cultural lines. That’s great! 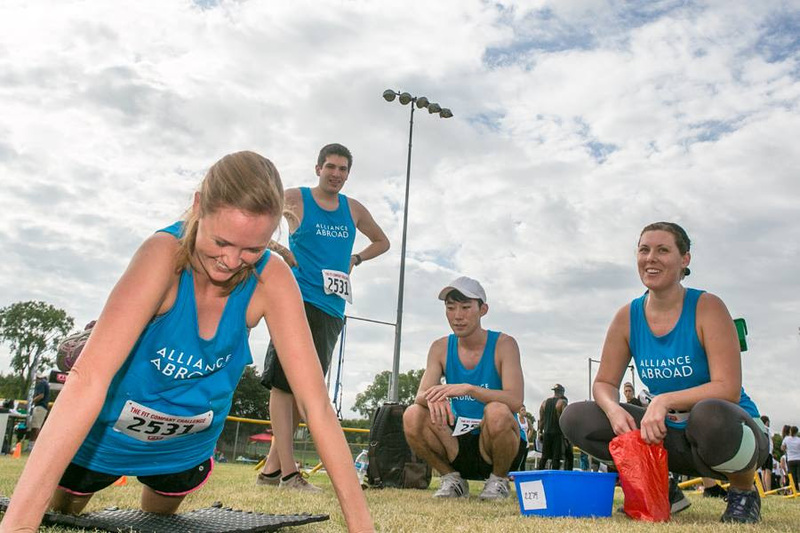 Does your company have an easy time making teams and putting people together for the event? Leslie: When we make our teams, everyone likes to get really involved. We’ve got a higher level group that’s very serious about this. Joell: They go to the gym together after the office for cardio and weight lifting. One of them is even a trainer. They try to ramp it up each year and train for higher targets than the year before. Leslie: Of course, we tell everyone, that you can be as aggressive towards your goals as you want. 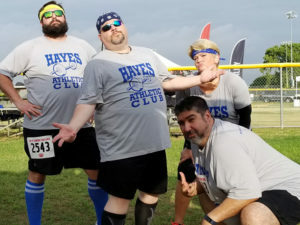 After all, one thing we loved about the challenge is how it doesn’t encourage judgement between people who want to take it seriously and those of us who just show up to have fun. On event day, we end up all cheering for each other. 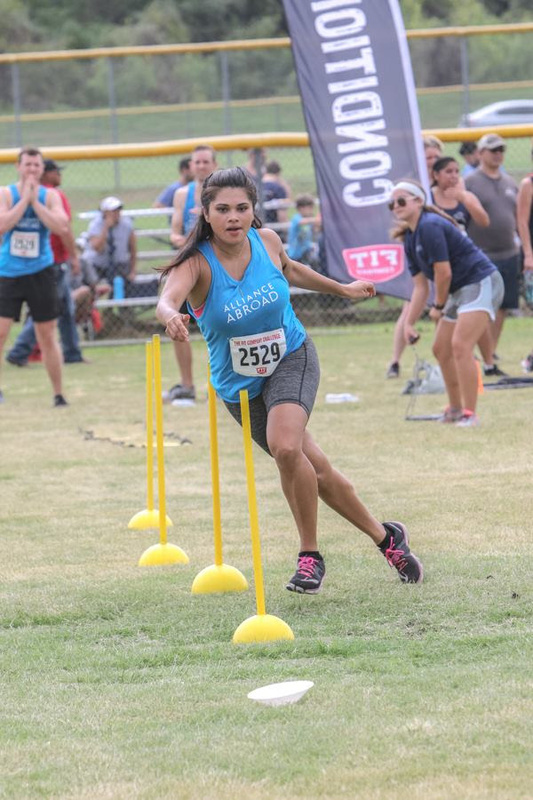 Joell: Overall, there’s different reasons why groups came together – some were friends outside work and said “why not” while others were natural athletes and really competitive and just gravitate towards each other. Things work great for the intense teams as much as those who show up because it’s fun and feels safe being active with other members of the team. Did either of you find yourselves setting goals or fitness targets you wanted to reach this year? Leslie: We’re a very diverse group in terms of age, demographics and fitness levels. A lot of people set personal goals for the different challenges. 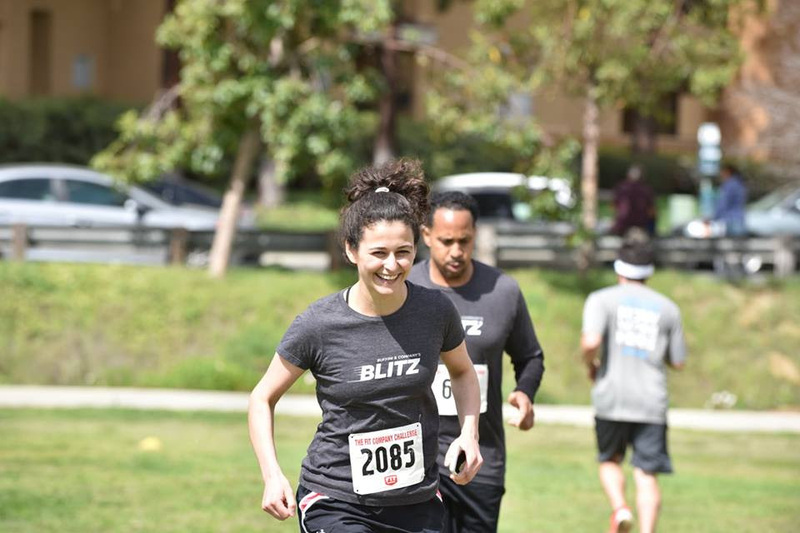 For instance, I wanted to run during the entire Overtime course, and I did it this year. Joell: You also find that you have secret goals that you didn’t set but you surprise yourself and are like “Yes, that’s what I wanted to accomplish.” It could be holding a plank the entire time, or other little goals that matters in the moment when you achieve them. What are some of the things you do around the office to get people fit and ready for the challenge? Leslie: We do things like “office planks” a couple times a day. We give warnings, like “okay, in 3 minutes, we’re gonna plank!” and anyone who wants to join comes down to one side of the office and we plank for about a minute or two. Once it’s done, they go back to work and maybe they’ll join the next one in a couple of hours. A couple times a day? That’s great! Any suggestions for other offices that might want to start something like this? Leslie: Well, we figured out very quickly, that planking right around lunch is the worst time! To wrap things up, have you noticed any changes in your workplace culture? Leslie: I can honestly say there’s a lot more chatter around the office now about being active. 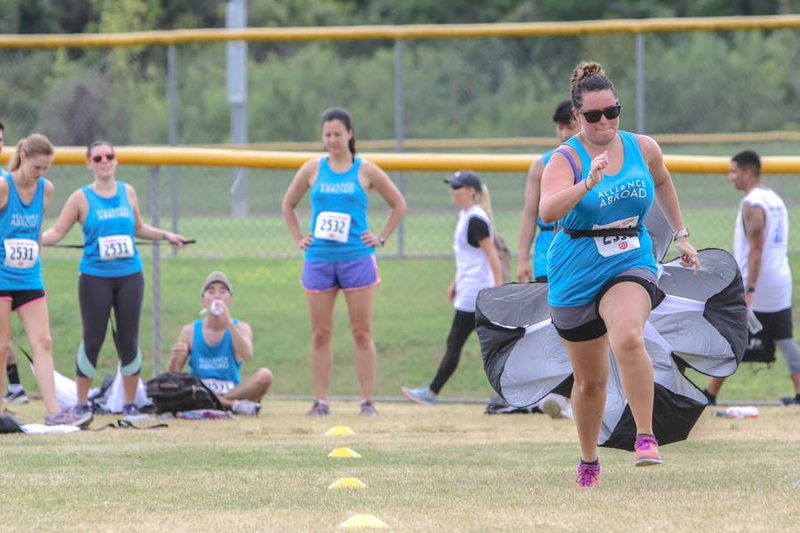 We still enjoy our treats and snacks at birthdays, but we’ve also got our own soccer league, bowling league, and the participation in those has grown too as our company as a whole gets more interested in fitness and team work. Events like this help us to get to know each other. People you might have only been acquainted with before could suddenly become your closest friend as your train and participate together. In the months after each event, there are still people that stick together and keep working out as a team. They found workout buddies who they can better themselves with because they still feel that sense of teamwork they had during the challenge. 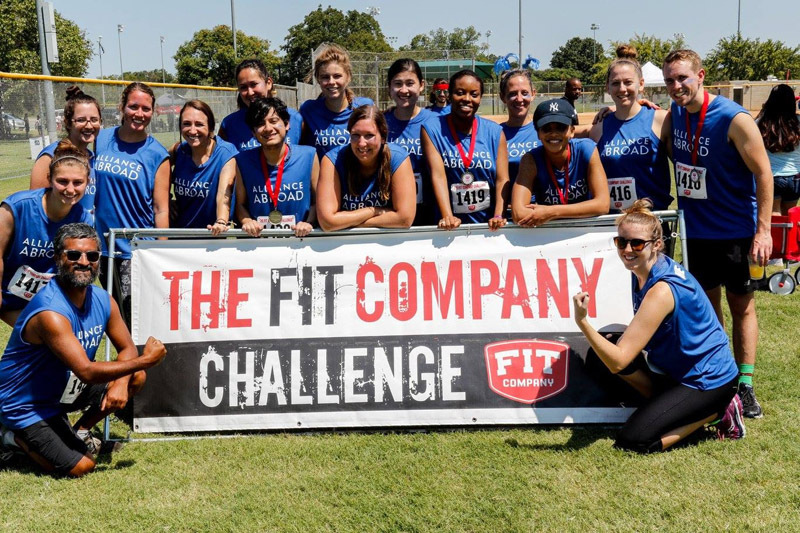 A huge thanks again to Leslie & Joell for holding the interview with us and sharing their experiences with the Fit Company Challenge! Is your company culture fit, healthy and active? Welcome to Squad Talk, the Official Fit Company newsletter! To launch our first edition, we’ve got a great interview we’d love to share with you. It’s with Julia Takishita at Hayes Software in Austin, Texas. They’re a mid-sized company that was looking to grow their health initiatives and maintain a healthy company culture. 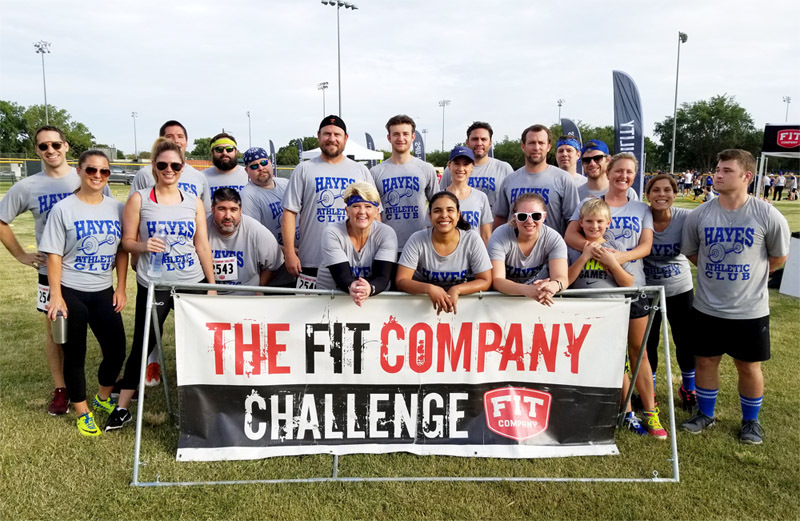 Julia shares with us some of the ways the Austin Fit Company Challenge got her co-workers motivated and helped keep her company fit and active! Tell us a bit about your company. How did your teams get organized for the event? We’re a relatively small office. This initiative really got started from top down. Our CEO and President Matt Winebright asked who wanted to spearhead the fitness initiative. A couple of us got together. Myself, Sean Benton, our Controller, and Javier Ayala, our Lead Software QA Engineer – basically representation from different departments in the office. We even enlisted the husband of one of our employees who coaches hockey who was thrilled to come on board and give us a hand! 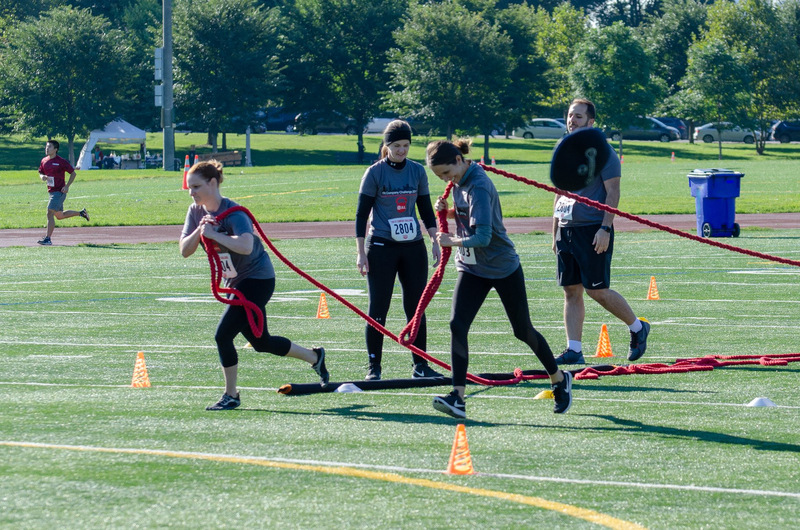 Were you able to do anything as a team leading up to the Challenge to get prepared? Yes – Friday workouts! One of our co-captains – Javier – is a certified crossfit coach and was generous enough to run lunch workouts for the team every Friday. Hayes Software even allowed us to use a conference room so we could exercise indoors and stay out of the Texas heat. Not every participant came to each Friday workout, but it was a great way to keep most of us training together. Your company has attended a few challenges. Who participated this time around? Mostly same faces as last time or new ones? 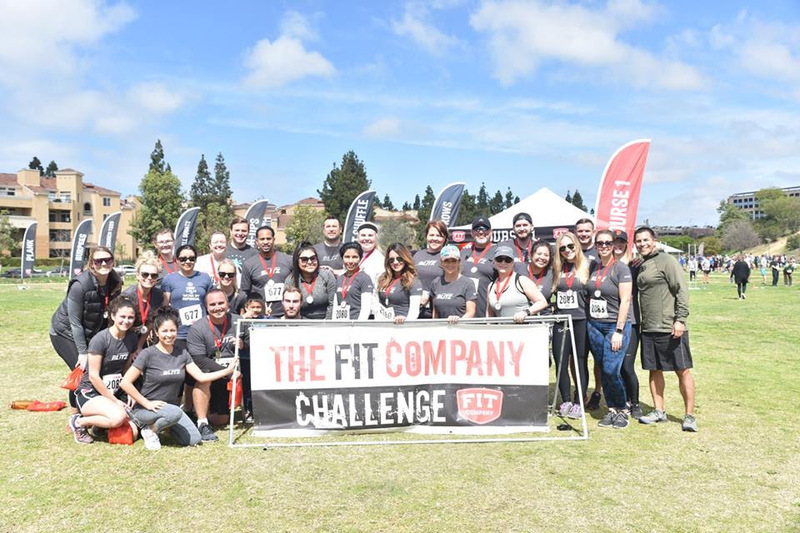 This is our third Fit Company Challenge and our team size has grown to almost half of our company! This year, we had roughly equal numbers of new participants as returning ones. When putting together our teams, we made sure each captain had at least one returning participant. This way, they could share what to expect and help get people ready. 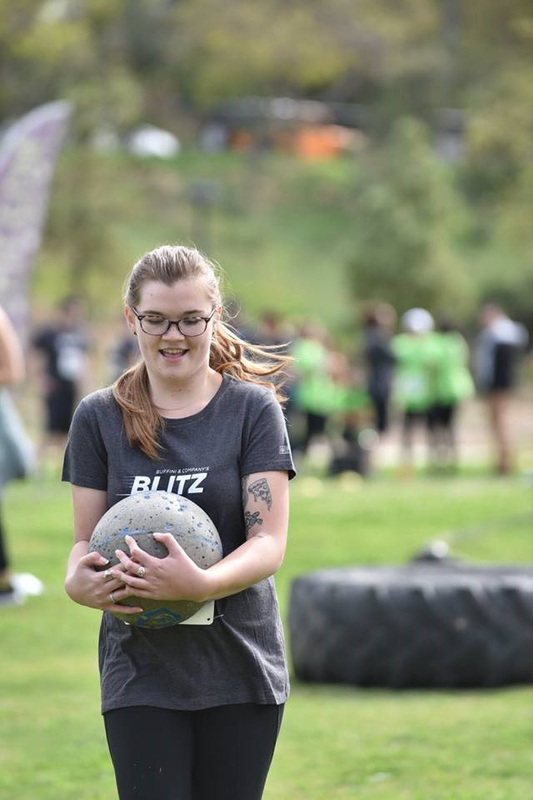 We also had the opportunity of bringing new people to the event – not just first-time participants, but also people new to our company. Some of them were pretty fit, and got to share their own ideas, workouts, training tips, and really coordinated with their teammates. It was a great way of welcoming them and bringing into our company culture. What sort of goals did your teams set for themselves? For some of us, signing up and finishing the Challenge was the only goal we needed. Though, some of the younger guys with higher athletic aspirations, got really motivated. 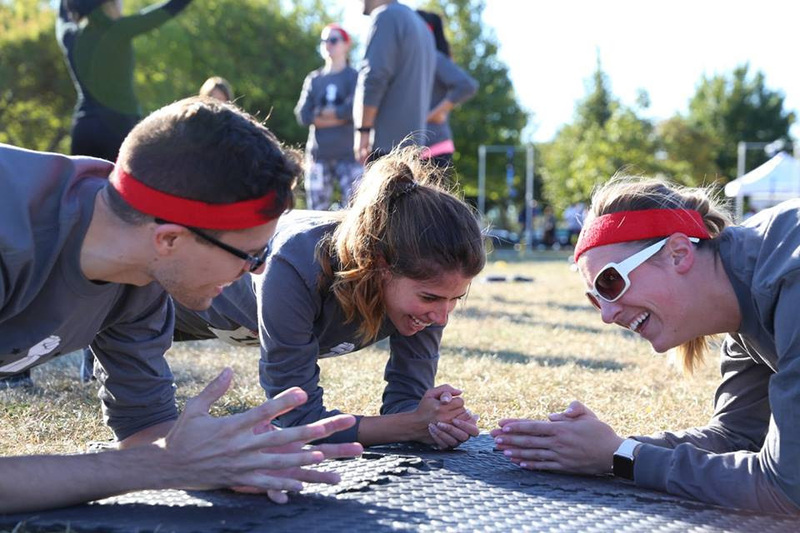 Two of our teams challenged each other and raced to the top, aiming for the best times and results. It was really fun to see them get competitive in a playful, fun sort of way. During the lead-up to the event, did you discover anything new this year? Maybe a tip or strategy for newcomers? On the topic of food, did you find that the office was eating healthier in the lead-up to the event? A lot of us already had good lifestyles and made healthy lunch choices. But now, all of a sudden, we have team members on paleo or keto diets, who are vegetarians or vegans, all sitting around the table with apples, bananas, bowls of salad, fish, rice, healthy options, each of them talking about their meal programs, trading tips and strategies for better eating. After completing the event, was there a lasting sense of unity among the participants? Definitely! Right after the event our team went out for lunch. We all rehashed our trials and tribulations, talked about outstanding moments at the event and the funny ones too. A little while after the event, we had our monthly staff meeting, and everyone who participated showed up in their event shirts. It was great. We got to answer questions and shared some photos on the company’s internal Facebook page. Afterwards, we heard a lot of chatter around the office, so even the people who didn’t participate were really into it and interested. 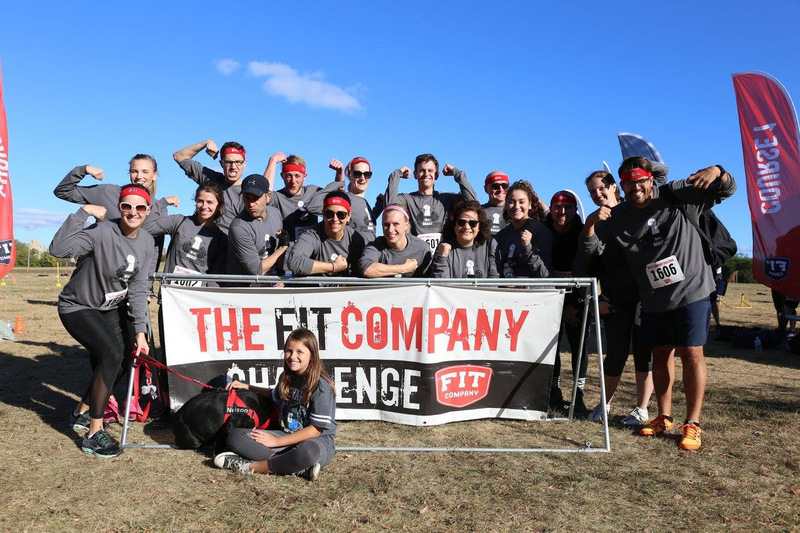 Where does the Fit Company Challenge sit with your overall company culture? The Challenge has enhanced our culture, and even become part of it. 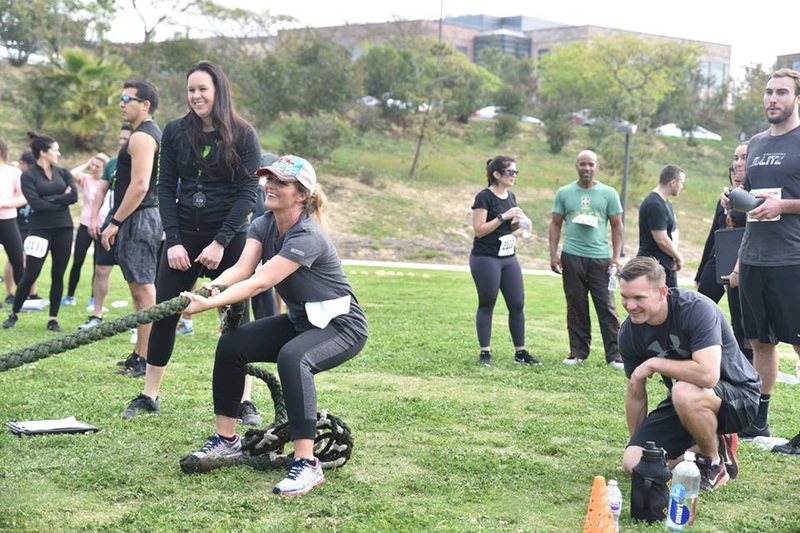 We all love the way it encourages everyone to participate, allowing those of us who are not totally physically fit and those who are crazy fit to be part of the same team and work well together. Plus, we got to learn from the athletes among us, while they got to work on their patience waiting for the rest of us! Any final thoughts or comments you’d like to share? We had a blast and are looking forward to the next one! 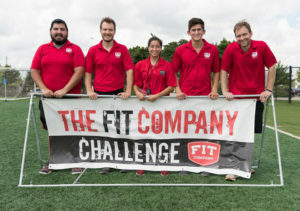 We hope you enjoyed our first interview, and would like to thank Julia one more time for holding the interview with us and sharing their experiences with the Fit Company Challenge!